That is a quote from Lorali Hulsey. Hulsey is about to do something that most people do in their early 20s; she’s going to graduate from the University of North Alabama next weekend. The difference, Hulsey is 80 years old. This story should have actually taken place in 1992, the year Hulsey was originally supposed to graduate from UNA. However, a discrepancy with a math grade caused her to believe she was unable to finish her degree. One thing led to another and her degree was put on hold. “I got so busy with my family life, I never thought it would actually happen,” said Hulsey, referring to her degree completion. Thankfully, for Hulsey, she has a persistent granddaughter. 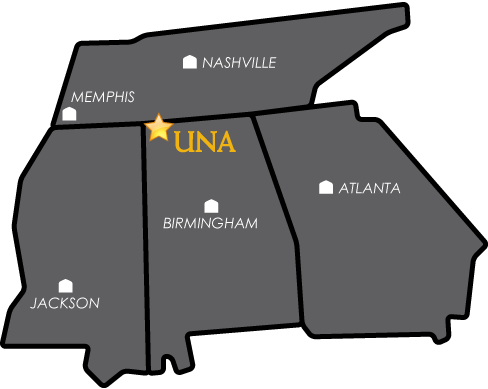 As it turns out, Hulsey’s granddaughter is also a student at UNA. Lauren Watkins is currently a freshman studying finance. Watkins said she worked with the Social Work department to get to this point and they were great. She also said she may be more excited about this than her grandmother. “My granny has always inspired me,” said Watkins. “Most people would have just forgotten about it and moved on; she’s nearly 80 years old and willing to go back to college after nearly 30 years. It really just inspires me to never give up, and to always pursue my dreams… no matter how impossible they may seem,” she said. As for walking in the ceremony Dec. 15, Hulsey said that was also her granddaughters’ idea. At 80 years young, Hulsey will graduate with a Bachelor of Social Work degree from UNA, something that will surely be an inspiration to many. However, it’s her family that has always comes first.